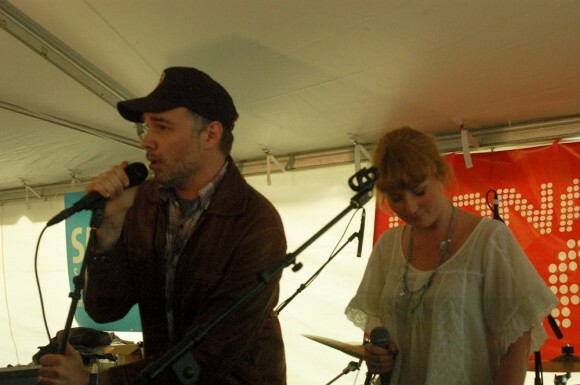 Established hip-hop jokester Buck 65 put together something special for the finale of the Canadian Blast day party. 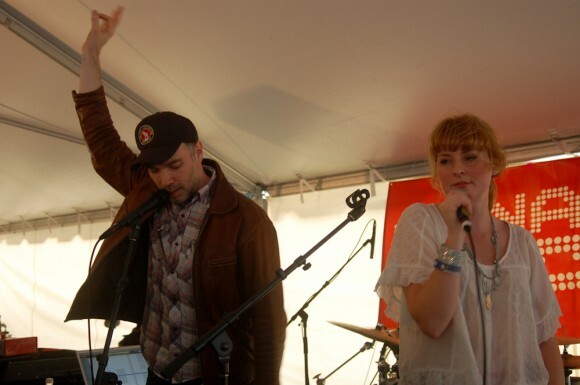 He performed his turnablist rapping with the help of Jenn Grant and Marnie Herald (both of whom guest on his most recent album). Grant’s performance roots in a more rockabilly style, but with 65, their chemistry almost seems to be a romantic one. Herald on the other hand sings sweetly complementing 65 gravel and nimble pacing. 65 has been delivering fun, funny and technically impressive sets for years, but here with the added help to round out the sound, this is exactly the kind of dynamics live hip-hop needs.